10:30 am – 11:30 am and 1:30 pm – 2:30 pm – Toy Chest: learn how children years ago adapted and made their own toys and make one to take home. Meet at Manor House Portico. 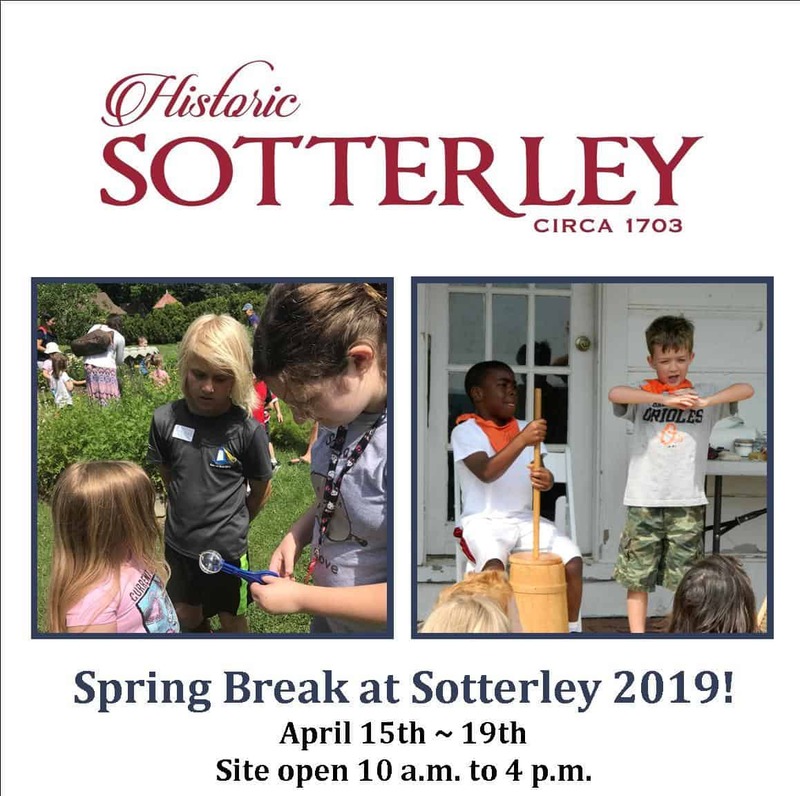 10:30 am – 11:30 am and 1:30 pm – 2:30 pm – Happy Trails: walk along the trails to the edge of Sotterley Creek and on the way learn about the plants and animals that make their homes at Sotterley. Meet at the Warehouse.